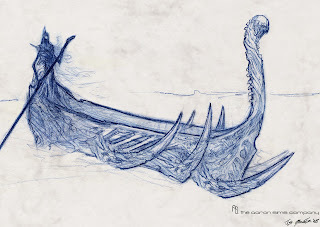 These are sketches for the Ferry Man that takes Perceus into the Underworld. This creature was fused into his boat. 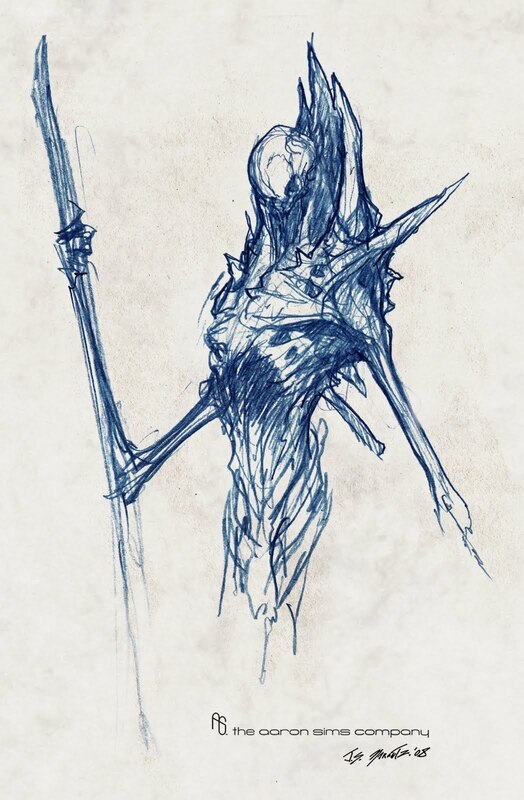 My personal favorite design from the film. Also my favorite design, truly inspiring. 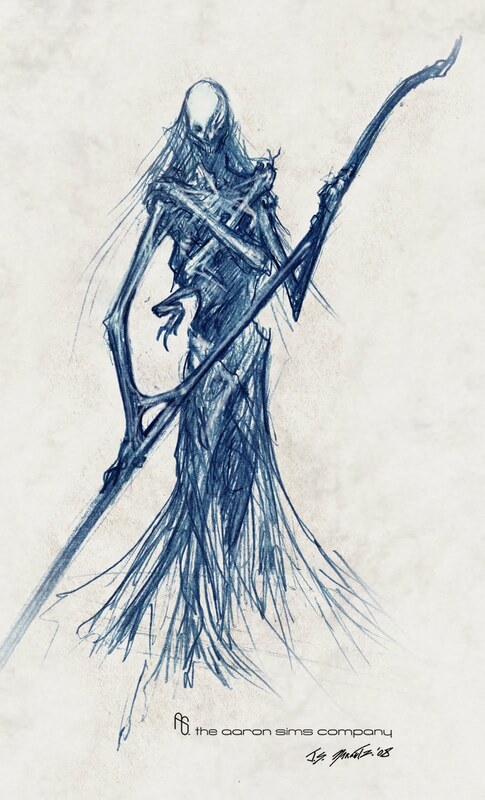 One of the best Charon concepts Ive seen.